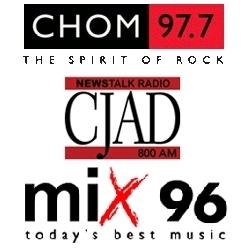 Montreal, Tuesday April 17, 2007 – On April 11, 12 and 13, Standard Radio’s CJAD 800, Mix 96 and CHOM 97.7 hosted the fourth annual “Caring For Kids“ Radiothon. Broadcast live from The Children’s, the event raised $2.41 million for The Montreal Children’s Hospital of the McGill University Health Centre surpassing last year’s total of $2.2 million. Thanks to the commitment of the stations, their regular programming included stirring testimonials from sick children, parents, former patients and healthcare professionals, serving as a reminder of the expertise and compassion found at The Children’s. During the Radiothon, listeners were invited to join The Children’s Circle of Hugs by pledging $18 a month or 60 cents a day to help sick children. Thousands joined. The funds raised will help meet the Hospital’s most urgent needs, which include medical and surgical equipment and funding for innovative research projects. Answering special requests from their favourite hosts, generous listeners made it possible for 300 young patients to receive a stuffed replica of the Hospital’s mascot, Caramel. During the final Miracle Hour, 750 people responded to our call so that a state-of-the-art infant incubator for transport worth $130,000 could be purchased. Donations can still be made by calling (514) 934-4846 or by visiting The Montreal Children’s Hospital Foundation web site at www.childrenfoundation.com . Sincere thanks to the 400 volunteers who contributed their time and energy and to our sponsors: Bell, CAE, Cinémas Guzzo, GE, Revolution Textiles & Eugene textiles, Shire, Tommy Hilfiger and Ultramar.